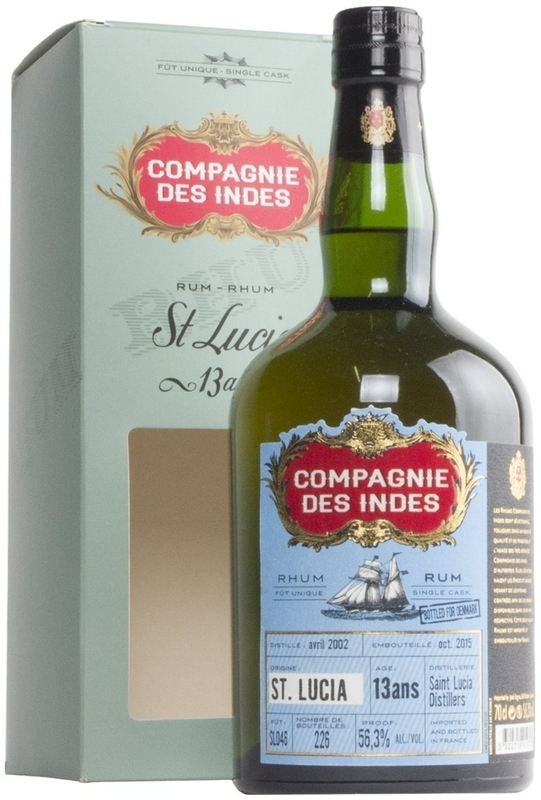 Have you found an online vendor selling Compagnie des Indes St. Lucia 2002 13-Year? I would say this is the best buy, I have in my collection from a value for money perspective. You have to appreciate the ripe bananas and fruity funkiness present in most rums from St. Lucia, but if you do, this is wonderful, powerful and affordable. My exposure to St. Lucian rums has been rather limited, but I usually find them intriguing. This one (my first CdI) was no exception. It opened with a light and playful nose that still had attitude; like punk-rock nail polish. It reminded me a little of some Hamilton St. Lucians I've tried, but a bit "higher" notes. I really enjoyed smelling it, though I'm not sure I thoroughly enjoyed the profile, if that makes sense. It got even lighter on the palate; the nail polish vanished, and was replaced by an incredibly smooth rum that was slightly sweet and just a tad funky. It seemed to transform in my mouth between entry and swallow, but I can't really say how. The flavor was too weak to have a very long finish. On the whole, it was rather lovely, but (IMO) suffers greatly from over-dilution. Perhaps it was brought down to 43% in an effort to tame the nose, but they lost so much of the flavor along with it. Don't get me wrong, I'd happily go through a bottle if I could, but I won't be seeking one out. This is a 112 proof barrel-strength pot still rum from St. Lucia, a small island nation in the Caribbean. The good news is, it's untainted by added sugar and caramel coloring and other additives. The bad news is, I wish it had some sugar and additives! Okay, not really, but this rum is very challenging to sip neat and probably wouldn't mix well with anything I can think of. It has the pot-still funkiness of a strong Jamaican rum - overripe bananas and wood come through immediately, and that's okay - but there's also an earthy, salty undertone (martini olives?) which distracted me from enjoying it with any sense of pleasure. The aftertaste lingers like bad breath when you have a cold. It's not my favorite combination of flavors.